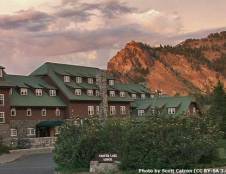 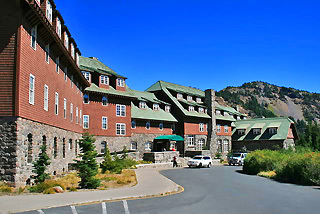 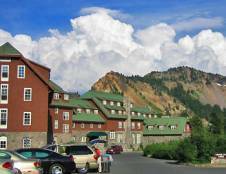 Crater Lake Lodge is located on the edge of the caldera a volcanic basin overlooking Crater Lake. 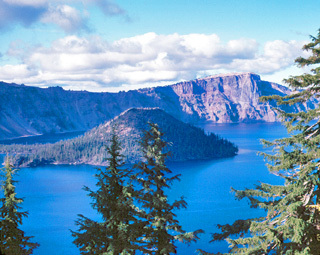 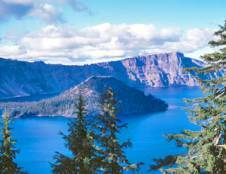 Crater Lake is the deepest lake in the United States and has a deep pure blue color. 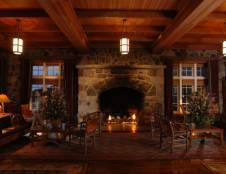 Upon entering Crater Lake Lodge be sure to take in the awestruck view of the stated fireplace in the Great Hall before checking in. 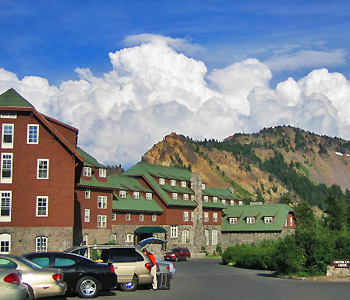 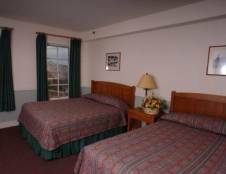 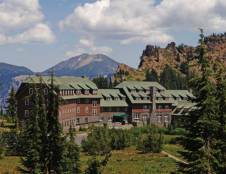 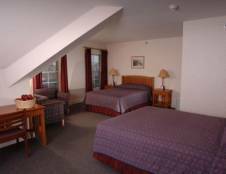 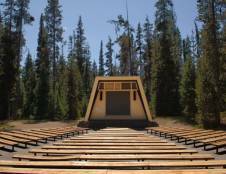 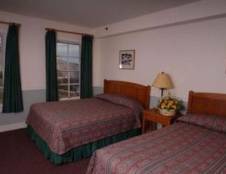 Crater Lake Lodge is known for its privacy, comfort, and spectacular service. 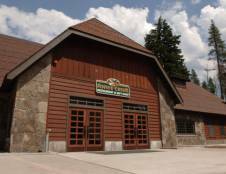 Be sure to explore the Exhibit Room which is located near the lobby, here you can learn about the history of Crater Lake and the Lodge. 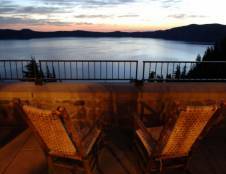 Enjoy a fabulous dinner while taking in the views of Crater Lake in the dining room at Crater Lake Lodge. 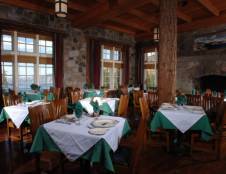 The dining room also boasts a large stone fireplace and serves Alaskan salmon, hazelnut-crusted halibut fillets, citrus duck, grilled venison, or conventional flatiron steak are a few of the menu items, plus an extensive wine list. 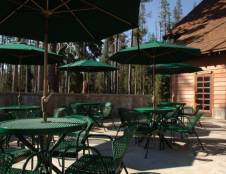 Breakfast - 7:00 a.m. to 10:30 a.m. 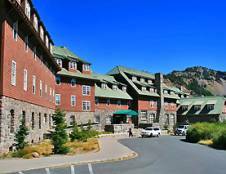 Lunch - 11:30 a.m. to 2:00 p.m.
Dinner - 5:00 to 9:00 p.m.
Complimentary Coffee is also available for Lodge Guests Only between 6:00 a.m. to 10:30 a.m.